All those concerned about the failure of modern architecture to take account of context, tradition and heritage should not despair. Auckland can boast at least one example of excellence. 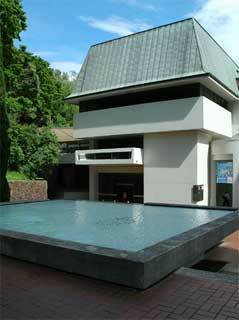 This is the Edmiston wing of the Auckland City Art Gallery. This building, from the seventies, is thoroughly modern while at the same time completely in harmony with the 1887 buildings of the old Gallery. It is without doubt the best architecture ever designed by the Auckland City Council. However, as an example of what might be, it should be enjoyed now, because it is about to be demolished by the body entrusted with the protection of our heritage, namely the Auckland City Council.